“BLACK JACK”… a card game, a pizza or a pirate? What is this Black Jack that is stretchy and snappy? A smile is inevitable when you find that Black Jack is nothing but a chewing gum. It was the first ever flavoured chewing gum launched in the US way back in 1884. The gum base “chicle” in it came from the bark of the Sapodilla (Hindi: Chikoo; Tamil: Sapota) tree. Owing to the long duration involved in collecting even a small quantity of chicle (almost 6 hrs to yield only 2 ½ pounds of gum), technology has extensively replaced it with the more resilient synthetic gums. With time the other ingredients also underwent change. Sugar or corn syrup has been replaced by a combination of artificial sweeteners like sorbitol, xylitol, acesulfame-K and aspartame and this brought the era of sugar-free gums. Few brands enlist the nutritional information on the pack whereas others stop with net weight and ingredients. The calorie content of gums may vary with their constituents and size. The International Chewing Gum Association (ICGA) reports that a gum stick provides less than 10 calories whereas a pellet less than 5 calories, on an average. An experiment conducted by Mayo Clinic has shown that a person burns 11 calories per hour in the mastication of a gum. So if the expended energy is more than that provided by the gum (11 Vs 5-10 per hour), then some experts say that it can also be deemed as a “negative calorie food”. But this effect cannot be seen as a means to shed weight as the Mayo Clinic study also concluded that even if a person chomped on a piece every waking hour of the day for a month, he would lose less than a pound. 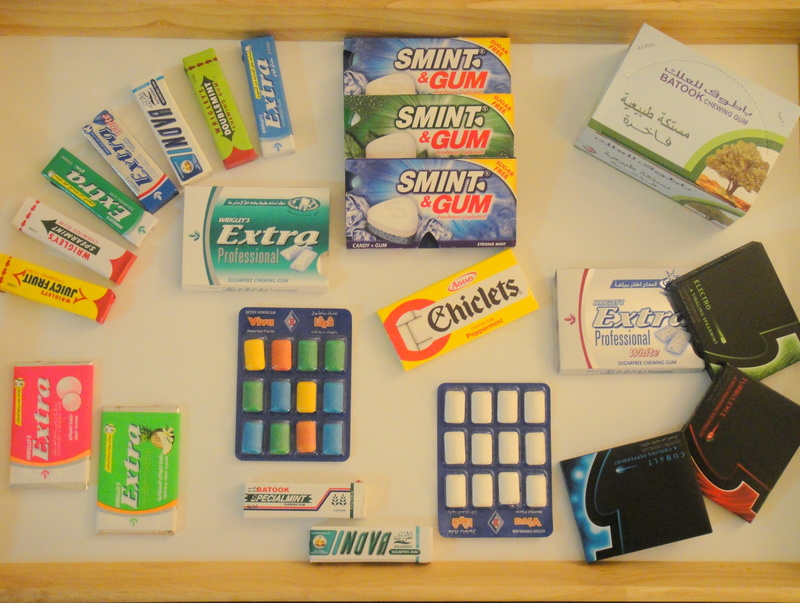 Though not effective as a negative calorie food, chewing gum has been universally hailed as a low calorie food. People in the world of sports use chewing gums to their advantage. The process of chewing stimulates secretion of saliva and prevents dryness of the mouth and throat. Walkers and joggers exploit this feature and are thankful for the exercise to the jaws and facial muscles that come as a bonus. Yet others use it for the same reason while shopping for long hours in air-conditioned malls. A study conducted by investigators at Louisiana State University showed that chewing gum post lunch not only suppressed the return of hunger, but reduced cravings to snacks and promoted satiety. Chewing gum during the post-operative stage of colon surgery quickens the return of normal bowel function and also shortens hospital stay. Sugar-free gums have also earned the endorsement of reputed organizations like International Dental Health Foundation and British Dental Association because they delay dental caries. The saliva secretion stimulated by chewing gum has a cleansing action. It quickly flushes away the oral bacteria and the acids produced by them, thus guarding the enamel. Moreover saliva contains hydrogen carbonate ions that help in neutralizing the plaque acids. Nicotine gums are saviours of those trying to quit smoking. They reduce the craving to smoke by releasing a steady amount of nicotine in the body and alleviate withdrawal symptoms like irritability, restlessness and hunger. Chewing gums widely used as mouth-fresheners are not meant to be swallowed. But there are yarns spun around what happens on gobbling them. Some popular myths are that they stick to the intestines, cause constipation and take years to get digested!!! A reply from Wrigley’s Public Relations Coordinator to a consumer throws clarity on these misconceptions. Sugar, corn syrup, softeners and flavours are soluble in the saliva and are digested whereas the gum base, the indigestible part finds its exit in a matter of 2 or 3 days through the normal route. This is applicable in case of gulping one pellet accidentally. But gorging large quantities at a time may definitely lead to choking. Let alone swallowing, even chewing large quantities of gum is not advisable. The laxative effect of sorbitol(E420) used in sugar-free gums has been well documented by two classic cases published in British Medical Journal. Doctors came across 2 patients with chronic diarrhoea, abdominal pain and dangerously excessive weight loss. When lengthy investigations failed to yield answers, a detailed dietary analysis pointed to eating too much chewing gum with sorbitol as the reason. One patient, a 21-year-old-woman consumed about 15-18 sticks of gum each day and her sorbitol intake through them was about 18-20g. The other patient, a 46-year-old man devoured 20 sticks of sorbitol-containing gum plus approximately 200g of sweets (candy) each day leading to a sorbitol intake of 30g. Once the sorbitol intake was stopped, the patients regained normalcy. 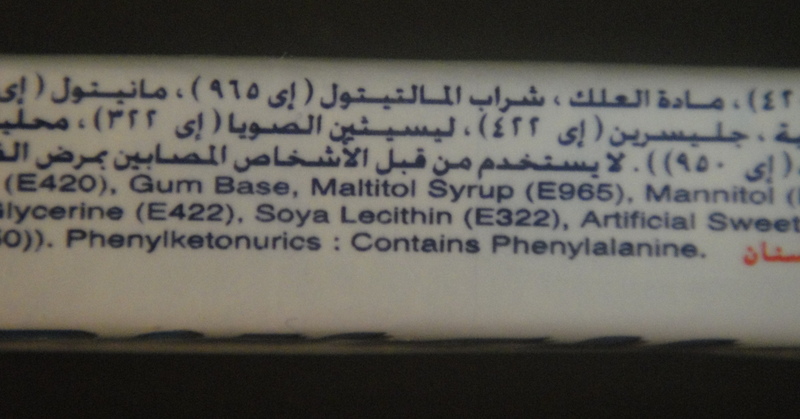 Aspartame(E951), one of the artificial sweeteners used in gums yields phenylalanine on breakdown. So Phenylketonurics and those with Hyperphenylalaninemia should refrain from consuming them. 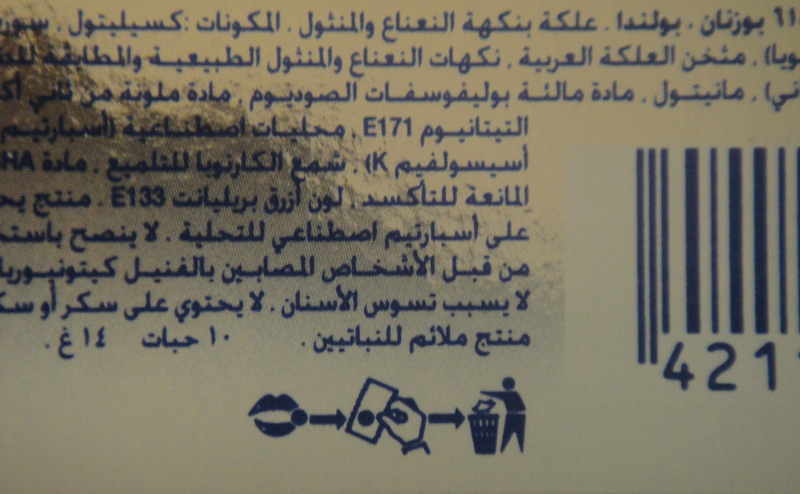 Warnings about overindulgence and Phenylketonuria (PKU) are printed on the pack. It is for the consumers to read them and get benefited. A word of caution to those who chomp gum frequently and vigorously – it may lead to temporomandibular pain. Some chew gums just for the heck of it, some to drive away boredom and yet others to improve their concentration. Whatever the reason, it is necessary to chew slowly and keep the mouth closed during chewing. Otherwise it leads to gulping of air (Aerophagia) which in turn may result in abdominal bloating, belching and flatulence. Discard the gum when it is devoid of its juiciness and is a little hard to chew. Talking about discarding gums, improperly disposed ones have been the subject of public nuisance for long. Blobs left on pavements, bus seats and walls have posed major threats in terms of environmental hygiene and expenditure required to clear them. So much so that Singapore has imposed a ban on it, unless it is for a medicinal purpose. This problem brought about the proposal of biodegradable gums-those that become non-adhesive when dry and completely decompose in a few weeks time. CHICZA, the first organic and biodegradable gum made its entry in the UK in 2009. But till it becomes available world over, let us take the graphical cue on gum wrappers or packs to keep our surroundings clean. A stress buster, a concentration enhancer or a gastrointestinal malady creator, a jaw pain inducer – a chewing gum is what you make of it. Does Chewing Gum Help During Air Travel? Posted in Chewing Gum, Edible Gums and tagged Aspartame, Biodegradable chewing gum, Chewing gum, Chicle, Negative calorie food, Sorbitol, sugar-free gum. Bookmark the permalink.